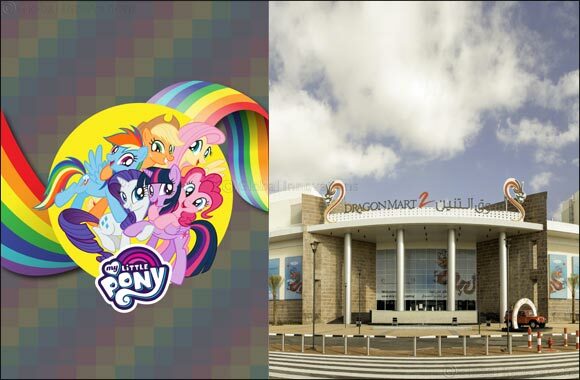 Dubai, 6 June 2018: Dragon Mart 2 will transform into a children’s wonderland this Eid Al Fitr with live performances of the much loved animated television series, My Little Pony, visits from Modesh, a Toy Market and more. The loveable antics of Ponyville friends, Twilight Sparkle, Princess Celestia, Applejack, Rarity, Fluttershy, Rainbow Dash, and Pinkie Pie will be on show live, with three performances daily from the first day of Eid until 24 June. Children also have the chance to meet their favourite characters after each show. Timings are 5pm, 7.30pm and 9pm. Adding more fun to the festivities, on the first three days of Eid each show will also be preceded by a spectacular My Little Pony parade from Dragon Mart 1 to Dragon Mart 2, at 4.30pm, 6.30pm and 8.30pm, subject to prayer times. Dragon Mart 2’s Toy Market has an exciting collection of cuddly toys, dolls and cars, colourful early learning toys, building blocks, musical instruments, remote control vehicles and more to delight children of all ages. The market runs from 10am to 10pm from the first day of Eid until 23 June. Modhesh, the celebrated mascot of Dubai Summer Surprises, is dropping in to Dragon Mart 2 every day this Eid. Find him at 3.30pm from the first day of Eid until 17 June. Make it a magical Eid at Dragon Mart 2. Mall timings from the first day of Eid until 23 June are 10am to 1am for F&B outlets and 10am to 12 midnight for retail outlets. Regular mall timings will resume from 24 June onwards.